Tornelo is web-based application (“in the cloud”) that allows a single arbiter or organiser to run a chess event with instant results updates, pairings, game collection and more. You can run the event on any internet-connected device; an iPhone, tablet or computer. There are 2 options Tornelo provides for Pairing Engine…. the first “Tornelo” is an approximation of the FIDE Swiss rules. The second “JaVaFo” is the official FIDE engine written by a person with intimate knowledge of the FIDE system. This engine provides perfect pairings, and usually exactly the same as Swiss Manager or Swiss Perfect. It is the very same engine that is used in Vega, another tournament management software. 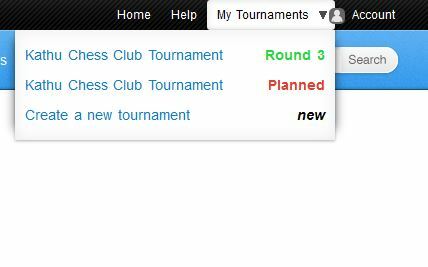 Tornelo is Web-based Tournament Management Software or pairing program. Every change which you make in the software is INSTANTLY live on the internet. During a tournament the moment you enter a result in the program the website is updated for public users to see results. You can setup a computer for players to enter results (there is a feature called KIOSK MODE in Tornelo) and players can enter results but not have other arbiter features. It’s a bit better than writing results on a piece of paper and of course results are then live online. Of course pairings are also posted live the moment they are done, so during a long-play tournament the players can just check the internet on their phone while having lunch and see already the next round pairings. So, how can the game moves get into Tornelo? 2. Live input by tournament staff. There is an Live Games Touch Input option, this is optimised for a tournament staff member to enter moves on an iPad or similar internet connected tablet. A cheap tablet is about 10% the cost of a DGT board and you can get a volunteer or arbiter to walk around the games and input moves into the tablet. These games are then being broadcast live online without any further efforts. An arbiter can easily enter 20 games as well as do all the regular arbiter duties. There is also the possibility to get a dedicated move-input person and they can update many boards. Please go to the link for Tornelo – Australia, https://au.tornelo.com. Look for a link which says sign in using Facebook. That is to create an account using Facebook account. Looking for somewhere top right where it says Run a tournament. Click on it and you can start entering details on running a tournament now. Please make sure you leave PRIVATE TOURNAMENT Blank. Tornello will keep a record of the tournaments you run in the program. VERY IMPORTANT – Tournament is NOT FIDE APPROVED. However, it is great for organising unrated tournaments. It could very well be a glimpse of the future in organising tournaments. Very nice idea, although an arbiter won’t be able to do all his arbiter duties and record 20 games in an unrated / beginner section (serious players usually don’t play unrated tournaments), I’m speaking out of experience here. A single arbiter might be able to do 10 along with his normal duties but for more than that it either has to be a very strong tournament with minimal issues or a dedicated person would be needed for the job. The live input is an interesting idea, although I’m a bit concerned with how much it will distract players. Legally speaking a player has to have his notation visible to the arbiter thus allowing the arbiter to easily read the notation from a distance (based on the arbiters vision). It’s not a perfect system but it’s definitely a strong contender for the price when compared to other alternatives e.g. DGT e-boards, Eitschess and Monroi (each costing around 500 Euro per board). Thank you very much Ruan. You raise many valid points. I think the best solution might be to wait until the games are actually finished and then input them then. I think we better forget the live input from the players. Too distracting for sure, it just won’t work. The issue of unrated games is a huge concern. Perhaps for now the software could target unrated games within clubs and schools. Some people would love to run small tournaments but the main tournament software is too expensive and difficult to use for them. Tornelo could help in that regard. Tornelo is also able to calculate ratings but unfortunately is not approved by FIDE. I tried it, but i think that https://www.swips.eu is much better. But keep working I wish you luck :). Thank you for your comment Jan Novak. We are checking out Swips right now to get a better feel of how it works. We would like to chat to you some more.